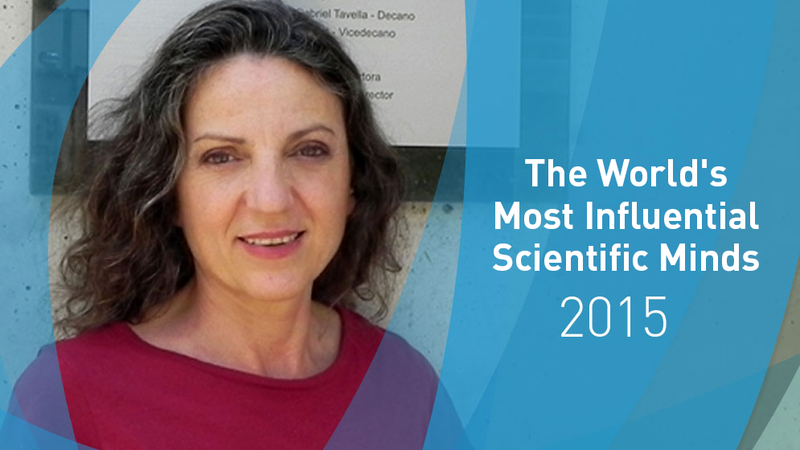 For the second time, Sandra Díaz was selected as one of the World's Most Influential Scientific Minds. Thomson Reuters is a world leader producer of bibliometric statistics and one of the main sources of “impact factors” used to evaluate scientific production. Every year, this Unit makes a list of the scientists who have been most cited by their colleagues and represent one per cent of the most influential ones, a number that covers only three thousand researchers in all the world. Analysts assessed more than 120 thousands that were indexed and published during the period between 2003 and 2013 in 21 areas of knowledge. “This type of statistics shows colleagues’ recognition. It is stimulating for us to know that our knowledge is useful for other groups of researchers. We endeavor not to restrict ourselves to using established concepts, the objective is to open the way for fundamental science to have original ideas”, Díaz affirms. Apart from being a CONICET researcher, Sandra Díaz is a principal professor at the Facultad de Ciencias Exactas, Físicas y Naturales of the Universidad Nacional de Córdoba and leads the Núcleo DiverSus de Investigaciones en Diversidad y Sustentabilidad [Research into Diversity and Sustainability]. Her studies are focused on the field of Environment and Ecology and she made important contributions to community and ecosystems ecology, macroecology and biodiversity in relation to global environmental change.